4th Annual Japanese Heritage Night at Citi Field, a set on Flickr. 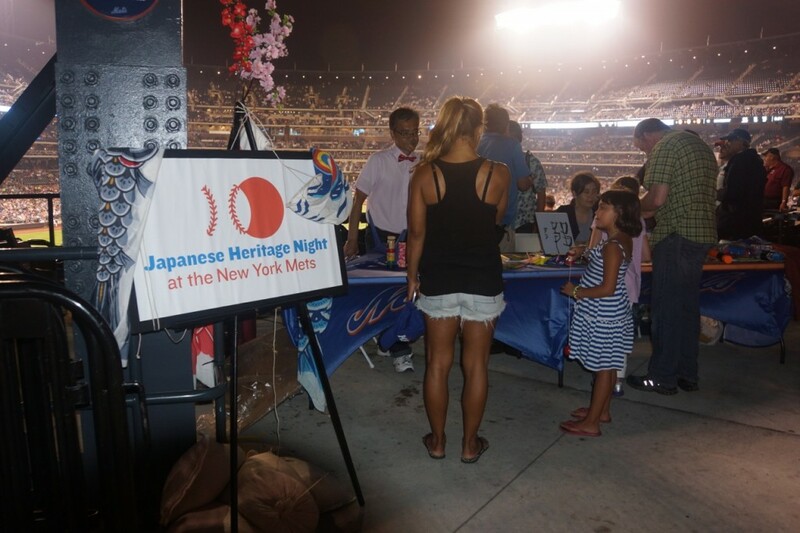 Organized by the Japanese American Association of New York, the 4th Annual Japanese Heritage Night at Citi Field took place on Wednesday, August 28. 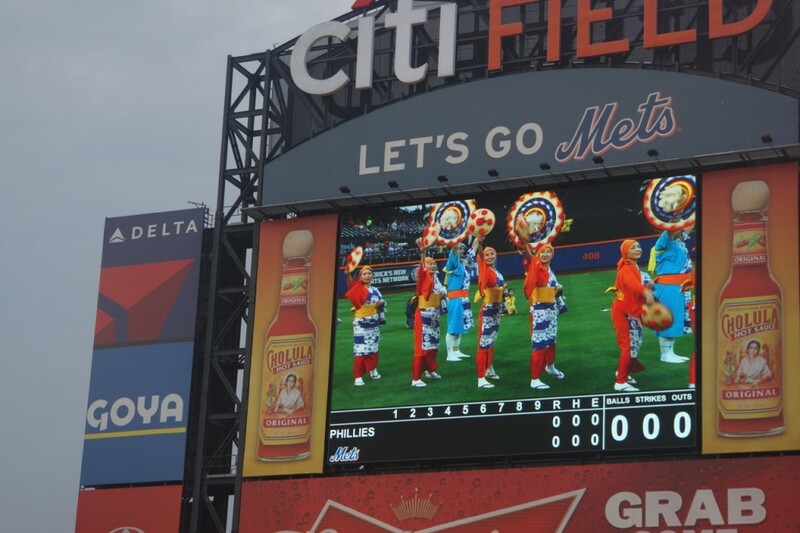 The pregame ceremony included a performance by the Japanese Folk Dance Institute of New York and the presentation of the Spirit Awards to important members of the Japanese community with Ambassador Sumio Kusaka, the new Consul-General of Japan in New York. Japanese Folk Dance Institute of New York, Inc. 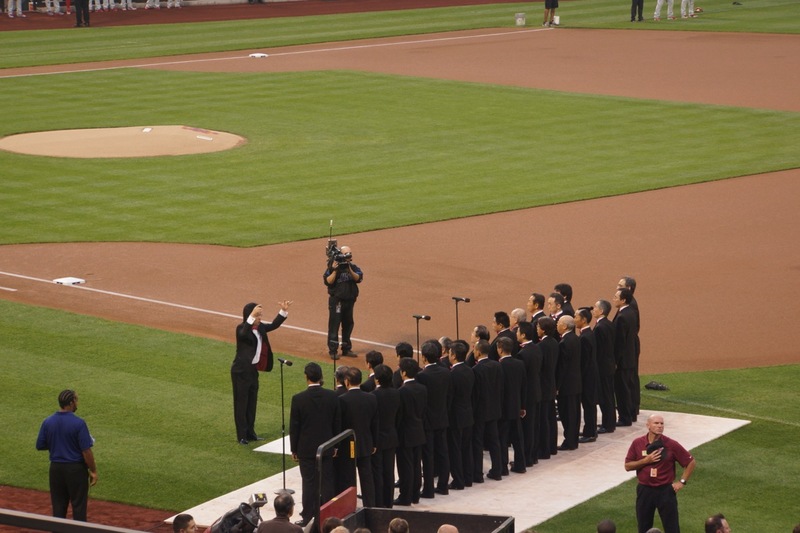 The Men’s Glee Club of New York, made up of Japanese businessmen, sang the National Anthem. In a nice coincidence, the newly acquired Japanese pitcher Daisuke Matsuzaka made his second start for the Mets, who hosted the Philadelphia Phillies. After toiling in the minors for Cleveland this season, the 32-year-old Matsuzaka, who won the 2007 World Series with the Boston Red Sox, signed with the Mets on August 22 and started the next day, a disappointing 6-1 loss to the Detroit Tigers. His start on Japanese Heritage Night wasn’t much better. 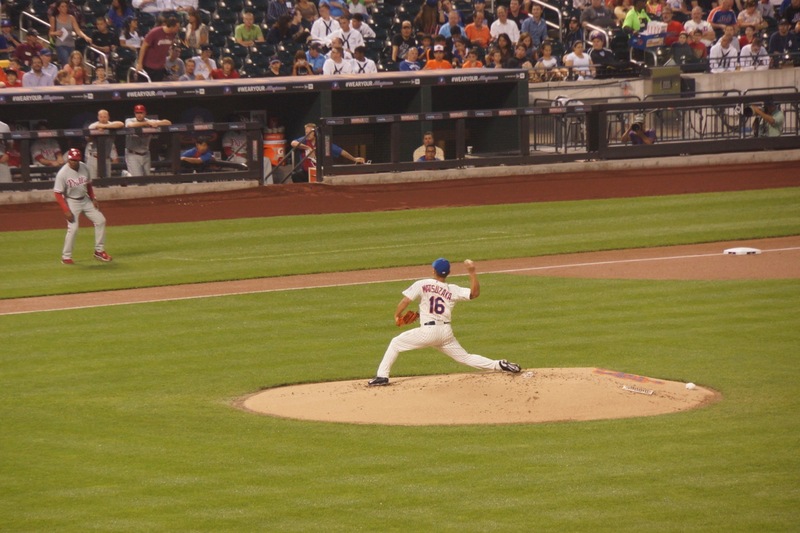 He labored against the Phillies, giving up four runs in 4.1 innings as the Mets lost 6-2. 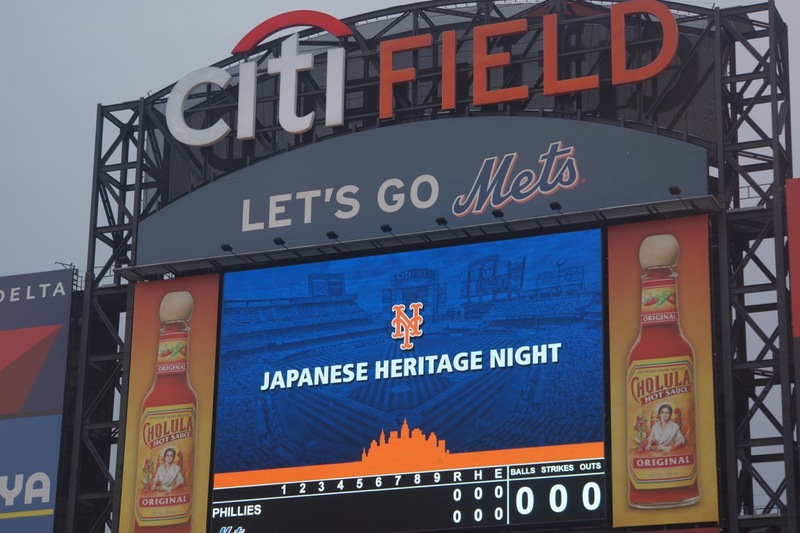 But Japanese Heritage Night was still a spirited event, with many members of the Japanese American community in attendance. 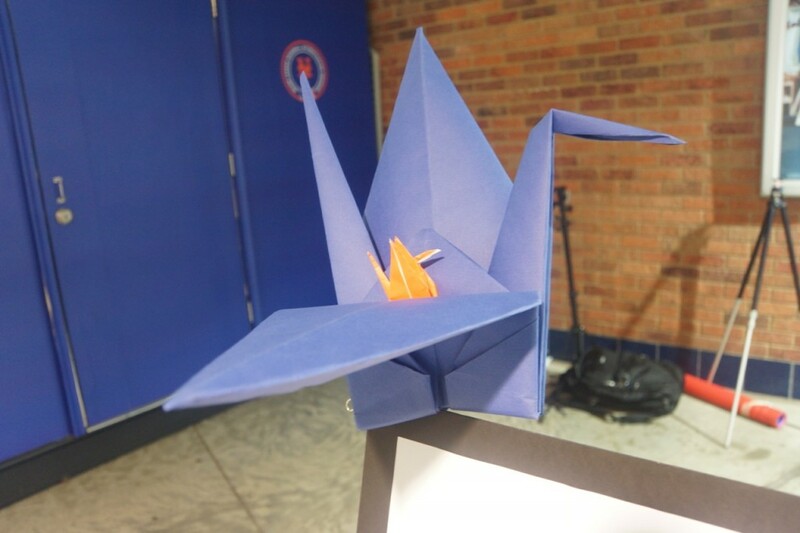 Fans had the opportunity to learn about JAA and fold origami cranes at two tables staffed by community members. 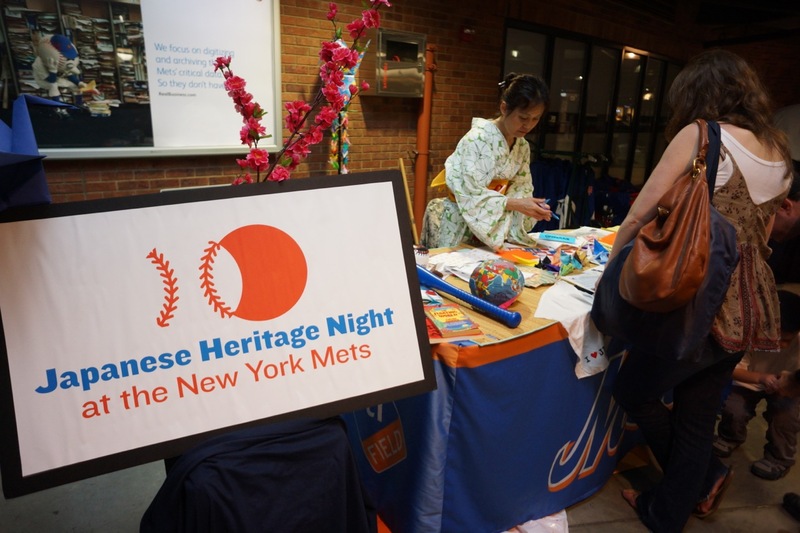 Proceeds from ticket sales went to the JAA Committee on Aging Issues, which will distribute funds to institutions in New York that provide care to senior citizens in the Japanese community. To see more pictures, please visit JapanCulture•NYC’s Flickr page.